Our Yamaha R1 FuelCel cuts weight by more than 55%, up to 7.75 lb lighter than the stock unit it replaces. Re-designed so that you can lie down for more aerodynamic efficiency without bruising your chest! 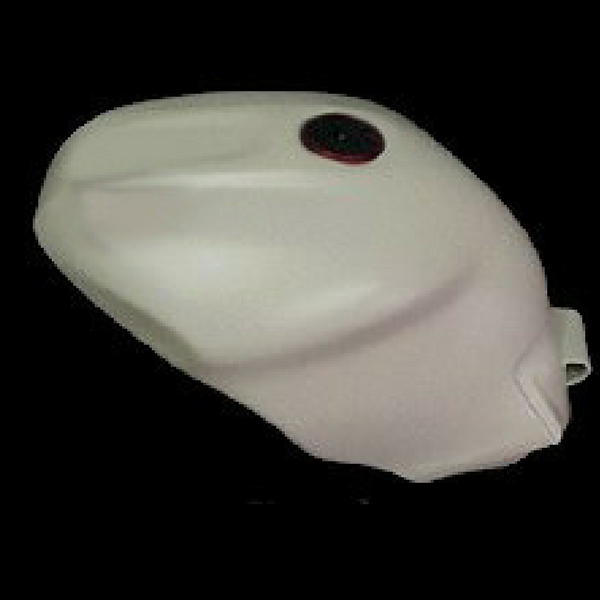 We have re-contoured the filler cap area, making it much more comfortable for you to lie down on your R1. 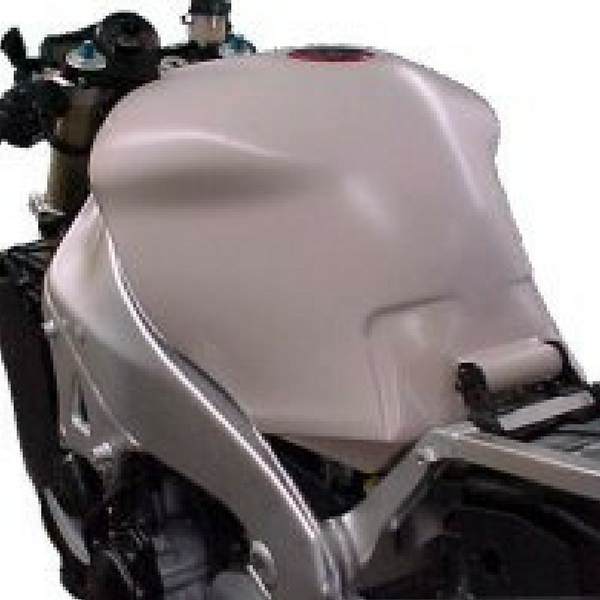 The new Yamaha R1 FuelCel includes the cosmetic side panel shape adding to the total fuel volume. We have also relocated the petcock to the left side where it is accessible to the rider! Just bolt on all your stock components and you’re ready to go. Due to the reduced weight, the acceleration increased and it greatly reduces the bikes polar-movement allowing you to turn in faster than before, you can really feel the difference! This is due to ETI’s efficient use of Kevlar and Epoxy in its construction. This also eliminates tank warping due to ethanol blended fuels!! The stock brackets and rubber inserts are used from your old steel tank. Finish sanded down to 150 grit, we apply a two-part sanding primer making your FuelCel the nicest component you have ever painted. Lock option and or Drybreaks available at an additional cost.